A good education begins early. Access to high-quality early childhood and pre-kindergarten programs provide an important foundation for children as they move through their school years and into adulthood. Children who are well educated are much more likely to become successful adults. Higher education is linked to higher income, higher job satisfaction, lower divorce rates, and lower crime rates. By ensuring that all children have access to high-quality educational opportunities and closing the opportunity gap we are investing in the future of our communities, our state, and our economy. Additional supports for educationally vulnerable children— such as special education, English language learning programs, and quality alternative education programs— help ensure that children with varying needs keep pace. score proficient or better in reading. Source: Nebraska Department of Education. children were served by Head Start (ages 3-5) and Early Head Start (ages birth-3) in 2014/15. 132 pregnant women were served by Early Head Start in 2014/15. Source: Federal Head Start PIR System. There were 16 Head Start programs and 12 Early Head Start Grantees – including 1 Early Head State Delegate program, and 1 Migrant and Seasonal Head Start Grantee. 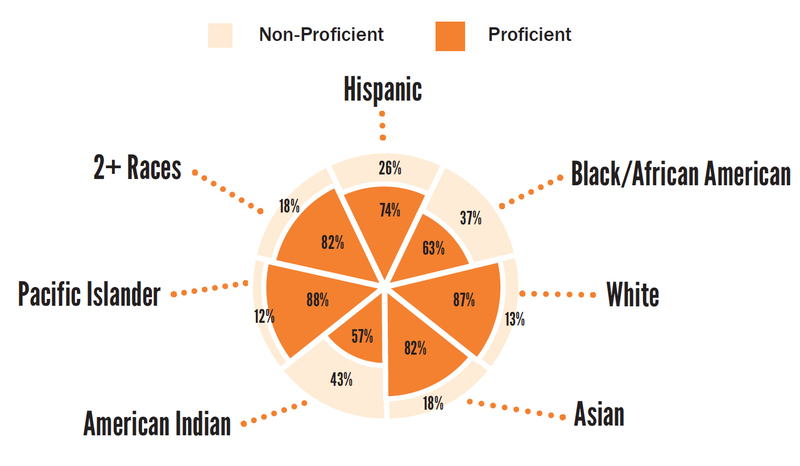 Source: Nebraska Department of Education, Head State State Collaboration Office, Data reported by individual Head Start Programs. 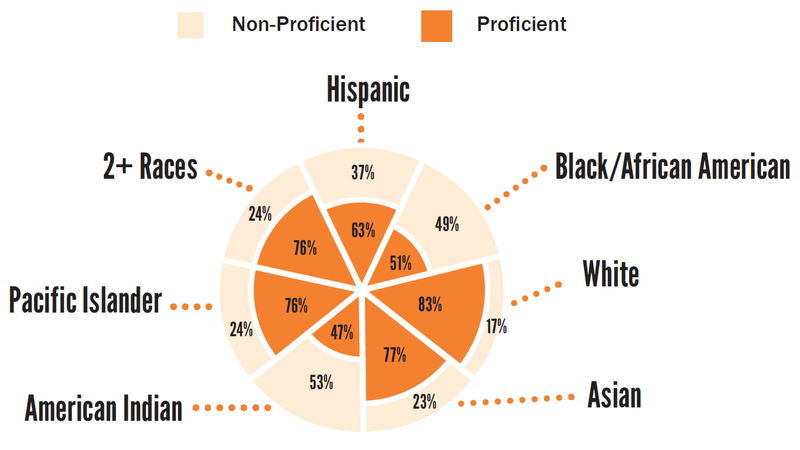 children served by Head Start/ Early Head Start have a primary language other than English. children served by Head Start/Early Head Start were determined to have a disability. 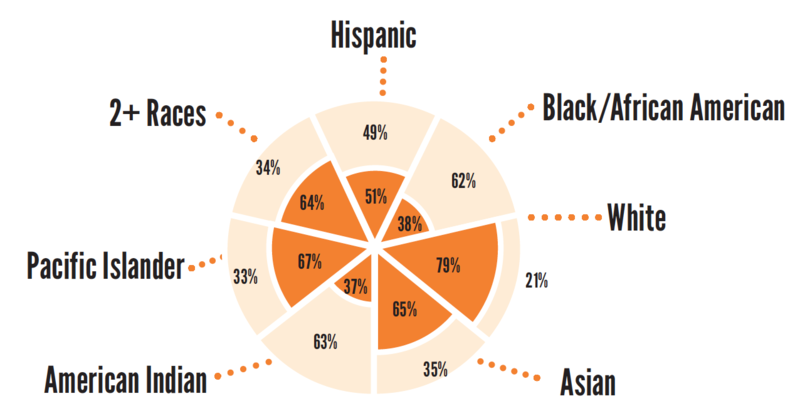 *33.6% of Head Start participants were Hispanic. The Early Development Network (EDN) serves families with children born with disabilities. Source: Special Education Office, Nebraska Department of Education. *One-day count of children taken on October 1, 2014. 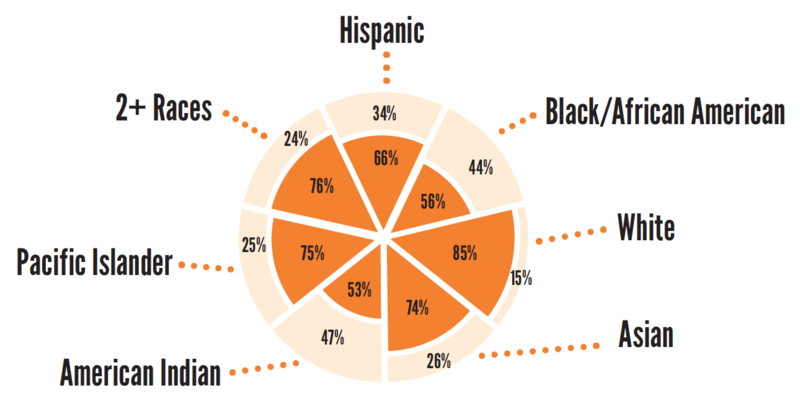 Source: Interdisciplinary Center for Program Evaluation, University of Nebraska Medical Center. Children need a safe environment while their parents work. Ensuring that caregivers are licensed is an important first step toward keeping children safe. This data shows counties with and without adequate licensed child care capacity. Source: Early Childhood Capacity by County, DHHS (Report run Sep. 30, 2016). ; U.S. Census Bureau, 2014 American Community Survey 5-year Estimates, Table B23008. Source: ChildCare Aware, Child Care in America: 2016 State Fact Sheets. There were 30,450 children in Nebraska who received child care subsidies in SFY 2015, for an average annual payment per child of $2,948. 3,952 children were in the care of a license-exempt facility. An average of 16,966 children received a subsidy each month, for an average monthly payment per child of $245.70. * 8,528 were below school-age, and 11,922 were school-age. 19,889 children receiving a subsidy were from a family living below 100% of the Federal Poverty Line (FPL), b were from families between 100%-130% FPL and 5,181 were TANF transition. The total state and federal funds spent for Child Care Subprogram 44, which includes child care subsidies, was $89,780,310. *Average annual and average monthly payments based on NFOCUS service expenditures, not total Child Care Program expenditures. Nebraska Step Up to Quality is an Early Childhood Quality Rating and Improvement System (QRIS), passed by the Nebraska Legislature in 2013. The primary goal of Nebraska Step Up to Quality is to improve early care and education quality and increase positive outcomes for young children. This is done through informing parents about quality early care and education programs in understandable and measurable ways. In addition, it improves teacher and director effectiveness through training and professional development, formal education, and coaching. It also emphasizes strengthening the understanding and use of standards, assessment processes, and using data to improve quality. 70 Providers – Step 1: The program has completed the application to participate in Step Up to Quality, staff members have submitted a professional record, and the program’s director completes orientation. 19 Providers – Step 2: The program director completes several trainings related to safety, child health, and early learning and management as well as several self assessments related to child development knowledge. 22 Providers – Steps 3-5: Programs that are at Step 2 can begin earning points to reach Step 3 or higher. Points are earned through additional training and professional development, environment, quality of instruction and curriculum, measurable child outcomes, family and community partnership engagement, and program management. Source: Nebraska Department of Education, Step Up to Quality. 349,925 children were enrolled in public or nonpublic school in 2014/15. 138,868 public and nonpublic students were eligible for free and reduced meals in 2014/15. Note: Includes state operated Special Purpose School. *Number of children eligible for the Community Eligibility Program is based on proxy data. There were 276 Summer Food Participation sites in 2015 serving an average of 35,472 meals daily. 14.7% of students were classified as Special Education (2014/15). 14.5% of students were classified as High Ability Learners (2014/15). School Mobility is a measure of how many students are transferring in and out of school within a school year. Higher school mobility is correlated with lower achievement. Reading is a fundamental skill that affects learning experiences and school performance of children and teens. The ability to read proficiently translates to a greater likelihood of performing well in other subjects. Children with lower reading achievement are less likely to be engaged in the classroom, graduate high school, and attend college. Source: Child Trends, Reading Proficiency. Math skills are essential for functioning in everyday life, as well as for future success in our increasingly technical work environment. Students who take higher courses in mathematics are more likely to attend and complete college. Those with limited math skills are more likely to find it difficult to function in everyday society and have lower levels of employability. Source: Child Trends, Mathematics Proficiency. Proficiency in science helps prepare students to go on to highly skilled professions. Having a strong foundation in the sciences allows students to work in today’s high demand fields. Students with a greater understanding of sciences learn how to better protect the environment and increase the health and security of people throughout the world. Source: Child Trends, Science Proficiency. Children need to be in school to achieve educational success and all the positive life outcomes that go with it. Too often, children are pushed out of the school system through suspensions, expulsions, and referrals to the court system. The cumulative sum of these practices, often referred to as “the school to prison pipeline,” has been shown to have a negative impact on students, schools, and academic achievement. When a student is suspended, they become less likely to graduate on time and more likely to repeat a grade, drop out without earning a diploma, and become involved with the juvenile justice system. Studies have also shown that schools with a higher reliance on school exclusion as a form of discipline actually score lower on academic achievement tests, even when controlling for socioeconomic and demographic factors. Policies that keep kids in the classroom produce better results for students, schools, and our communities as a whole. 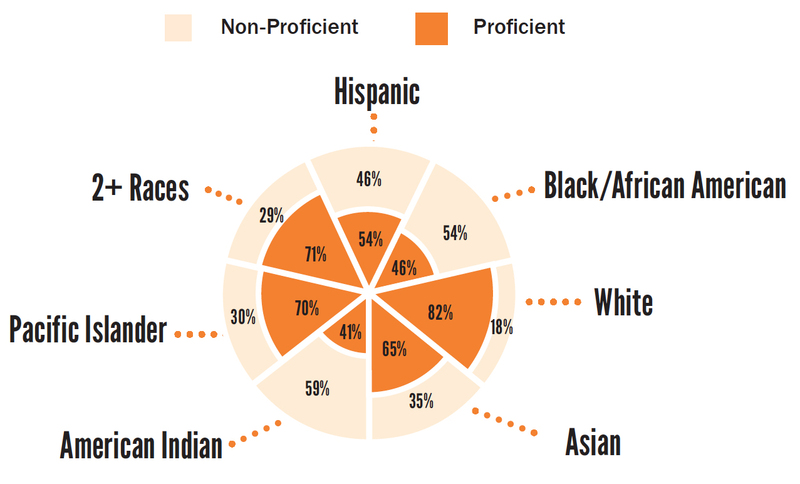 Source: The Academic Cost of Discipline, Center for Evaluation and Education Policy, Indiana University. 792 (0.24%) students in public and (2014/15) nonpublic schools were EXPELLED during the 2014/15 school year. 13,326 (4.0%) students in public and nonpublic schools were SUSPENDED during the 2014/15 school year. 1,550 public and nonpublic students dropped out in 2014/15. 1. Nebraska Department of Education. 2. U.S. Census Bureau, 2014 American Community Survey 5-year estimates. students completed high school in 2014/15. an increase from 89.7% from the 2014 cohort four-year graduation rate. *Extended 5th year graduation rate is the percent of students who graduated within 5 years rather than the standard 4.